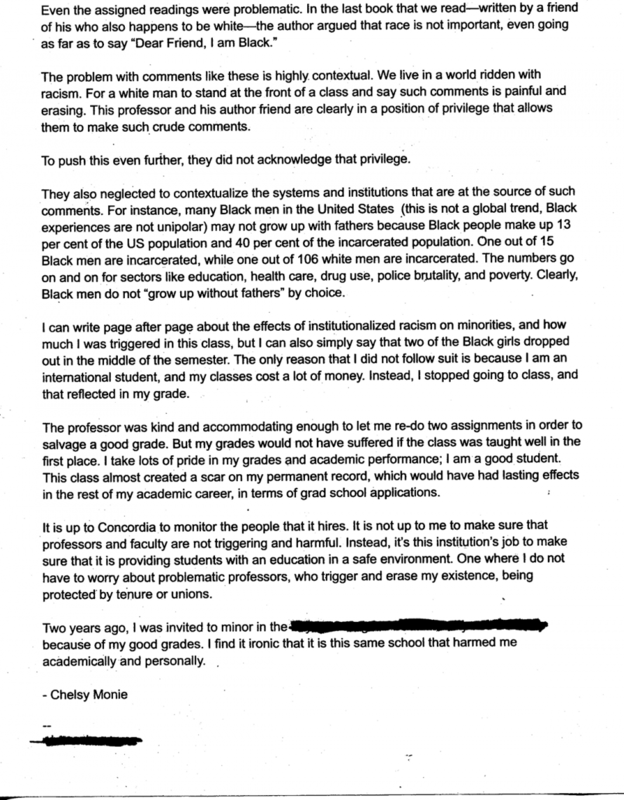 Being a student at Concordia has been a tiring and demoralizing experience for me. I am either tokenized in the classroom, or made invisible. Some days I am the “exotic” Black girl who represents the assumed homogenous Black experience, and other days I am left invisible while my peers say the N-word with a disturbing ease. 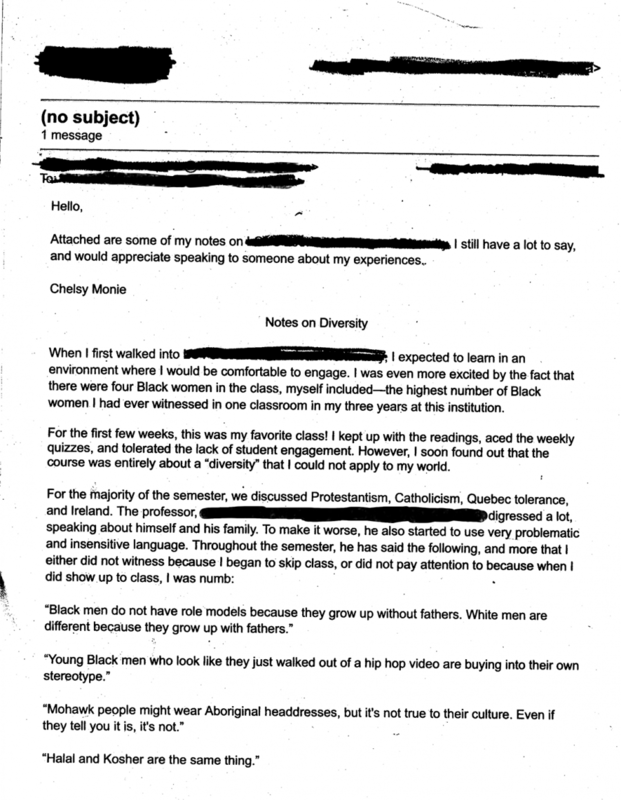 In the fall of 2017, in my fifth semester, I decided to start speaking up and using my voice in class. 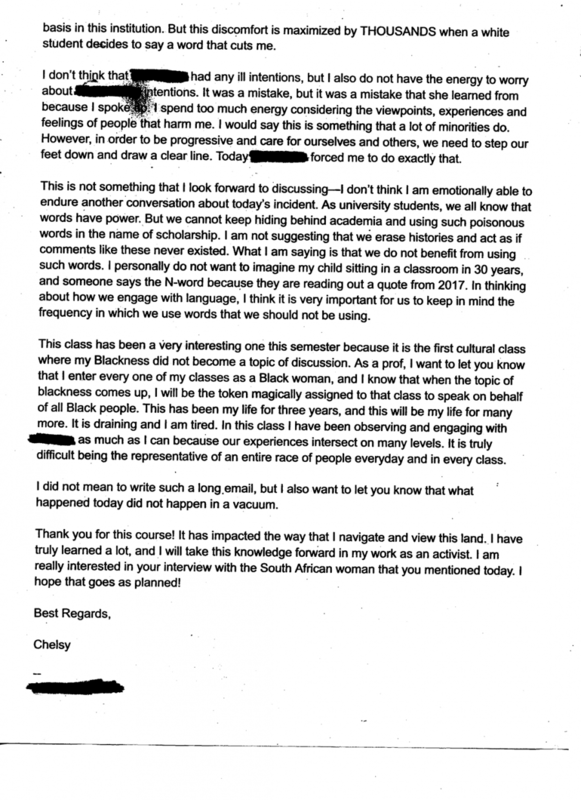 As a result of this, I started to email my professors to alert them of my presence, and their compliancy in a culture that erases bodies like mine. These emails resulted in very little progress, and more stress. The replies often began, “Dear Chelsy,” followed by several lines that refused to address my point. 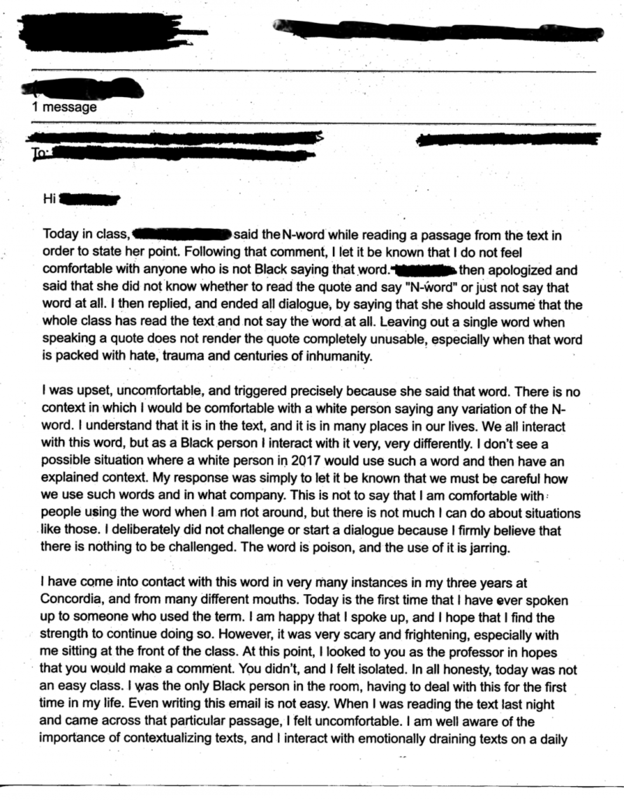 One particular professor thought it would be helpful to spell out multiple variations of the N-word in her email. It was not. Another reply was “surprised” to read my experience, as if my story was fictional rather than real. I went as far as scheduling meetings with some recipients of my emails. In one particular meeting, I was advised to continue raising my voice. “Keep raising your voice! 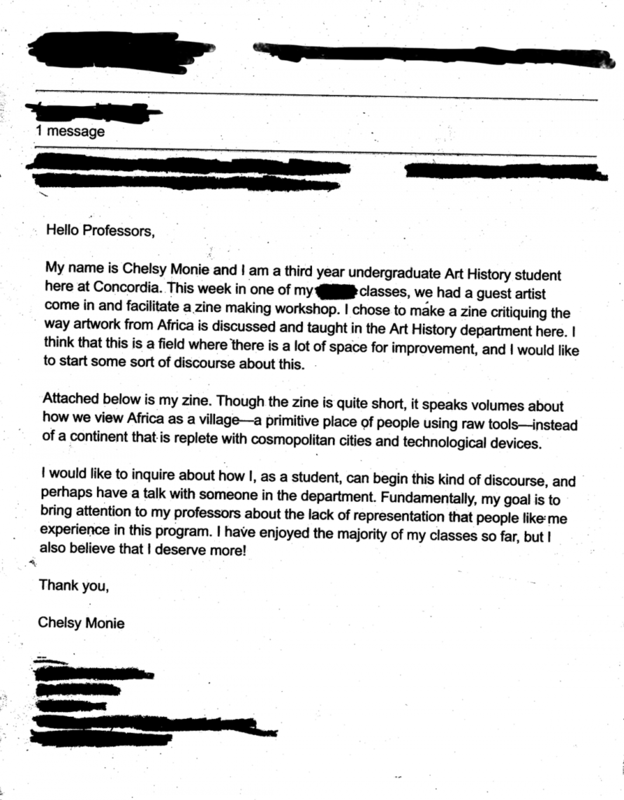 Keep calling out your professors, and keep sending emails!” she chanted rhythmically. My question is, when will I no longer have to raise my voice in order to be heard?